Hi Guys! 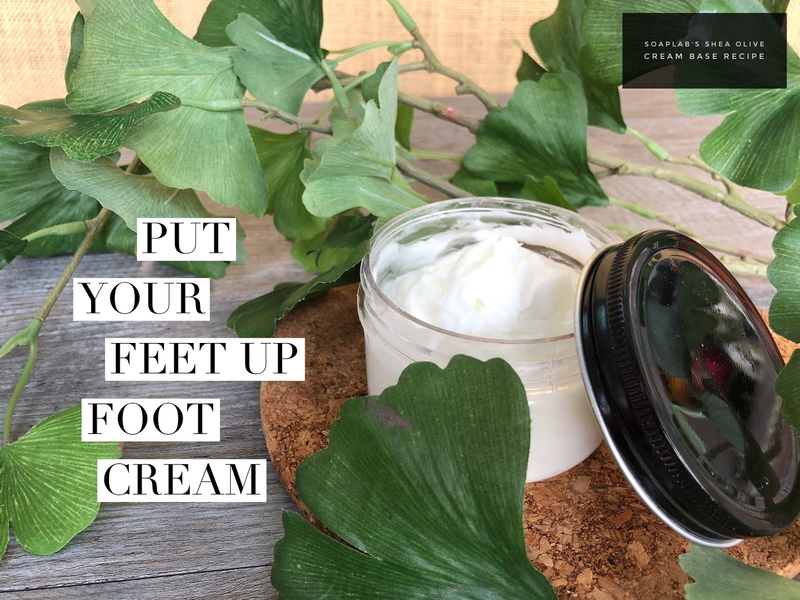 Instead of stressing yourself out of what to give your mother for Mother’s Day, why not just make this amazing foot cream instead. They will definitely appreciate it! The first ingredient for this recipe is a Shea Olive cream base. Shea Olive is rich in vitamin E which has great moisturizing properties which keeps the skin soft and healthy. The next ingredient used is the eucalyptus and spearmint essential oil. This essential is great for as an antiseptic as well as to relieving sore muscles and also helps to reduce inflammation of the skin. The menthol crystals used in the foot cream, which is a remarkable additive as menthol provides temporary relief to aches and pains as well as to provide cool sensation when applied to the skin. Finally peppermint essential oil is used as it helps hydrate the skin and improves blood circulation.